FelgenWerks USA. 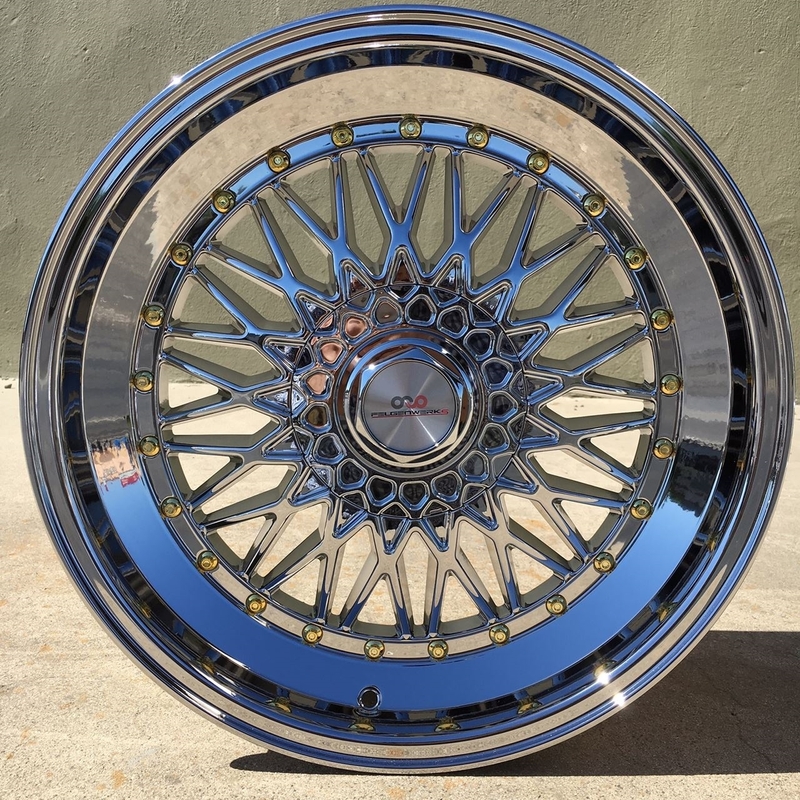 Dub .001 Chrome W/Gold Rivets 18"
Dub .001 Chrome W/Gold Rivets 18"
$49.00 WITHIN THE LOWER 48 CONTINUOUS UNITED STATES. ALL WHEELS ARE PRICED AS A 4 PC SET. PLEASE BE SURE TO SELECT THE CORRECT QUANTITY 1 WHEN CHECKING OUT. 1 CENTER CAP IS INCLUDED WITH EACH WHEEL. IF YOUR VEHICLE REQUIRES LUG NUTS FOR INSTALLATION, YOU WILL NEED AFTERMARKET CONICAL SHAPED LUG NUTS TO MOUNT ALL WHEELS. Powered by nopCommerce Tangsem Copyright © 2019 Felgenwerks. All rights reserved.